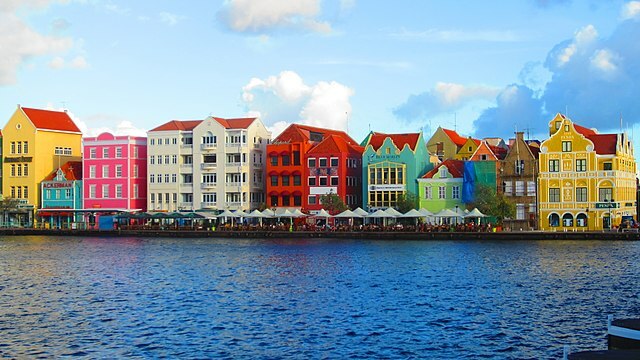 The 126-room resort is the first resort opened within the Christophe Harbour development; it is also the isle’s first luxury hotel. Park Hyatt St. Kitts offers 78 rooms and 48 suites, 2 pools, the main lagoon infinity pool and an “adult pool”, 3 restaurants, 3 bars, gym and SPA. 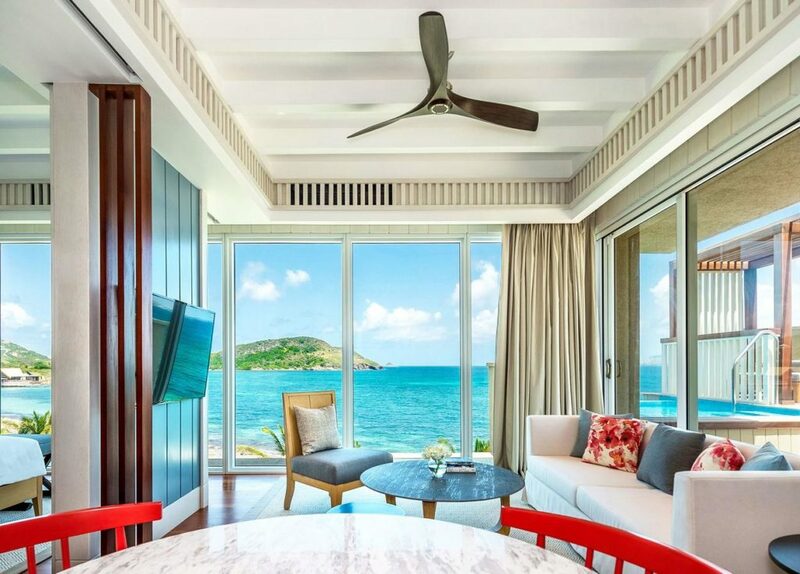 The Park Hyatt St. Kitts offers complimentary kayaking, paddle boarding, and snorkelling. Five-star Paradise Beach Nevis is the smallest, most intimate resort on the entire island. Paradise Beach Nevis offers seven private 3 and 4 bedroom luxury villas each with a unique, luxurious Asian-Caribbean design built with Indonesian thatched roofs. Offering 5-Star services and amenities, the Paradise Beach Nevis has a team of island professionals: chef, butler, concierge, massage therapist and on-site yoga instructor service. 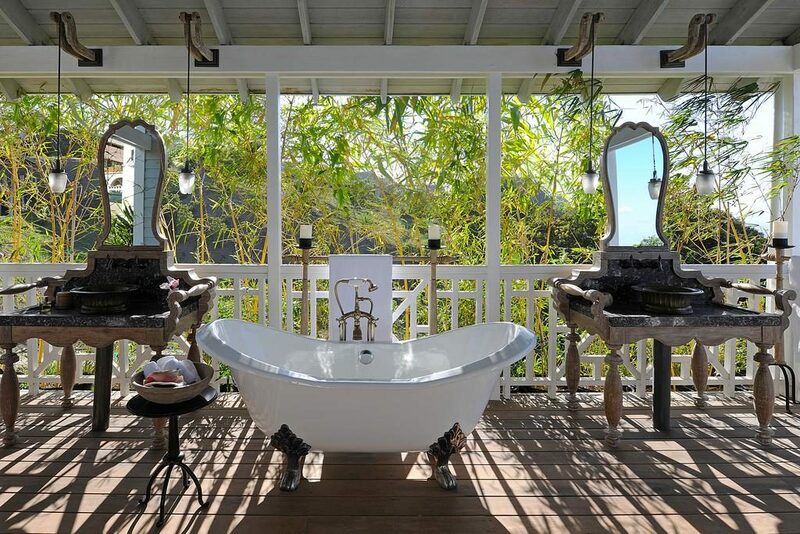 Eco-friendly luxurious Belle Mont Farm features 84 guesthouses and 7 four-bedroom farmhouses. Almost everything that is served in Belle Mont Farm’s Kitchen restaurant is either grown organically on-site or locally. Belle Mont Farm also features local architecture and predominantly local staff. 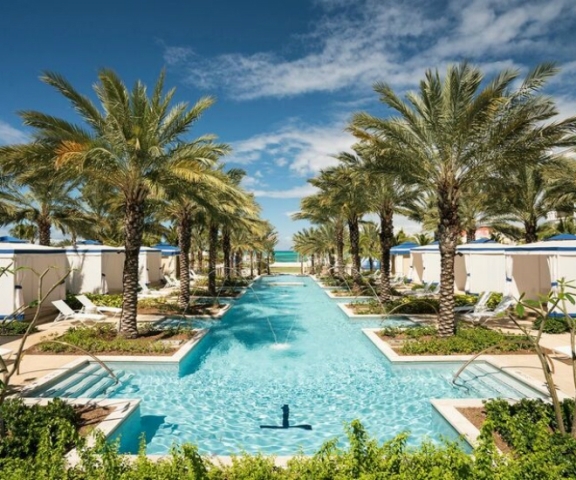 The resort located on the 2.5-mile Long Bay Beach, 15-minutes from the Providenciales International Airport. 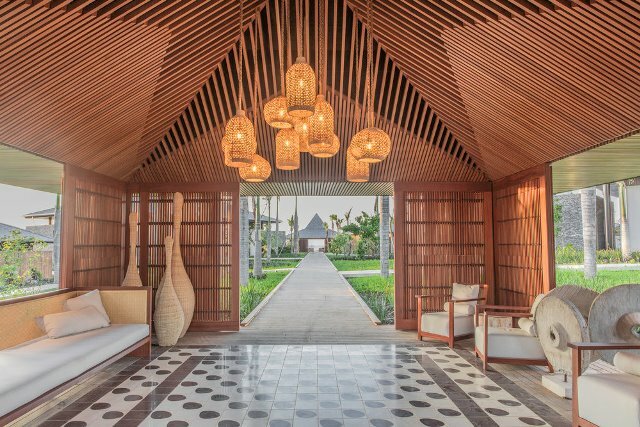 The hotel features 106 oceanfront suites and six 8,800-square foot villas that each contains six bedrooms, a private heated pool, private courtyards, and sprawling terraces. 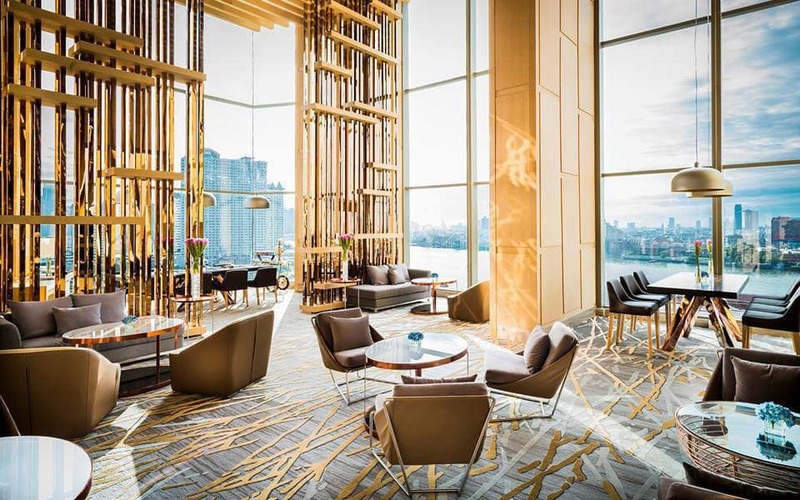 The Shore Club features three dining options, tennis courts, a business centre, a kids’ club, a wellness centre with a spa, a lap pool, a salt room, a yoga studio, a gym and a private yacht with a full crew charter option. The Other Side Bahamas, located on the Queen’s Hwy island, offers modern/easy Robinson Crusoe experience. This resort offers seven tents and four shacks. Four are communal tents that each have a designated purpose: reading, drinking, eating and playing. Three are sleeping tents with hardwood floors, a king-sized four poster bed, large open rain showers, 2 sofas, Wi-Fi and Air-conditioning. Three other shacks sit on the hilltop overlooking the property, they have a large sundeck, a king four poster bed, air conditioning, his and her sinks, Wi-Fi and simply stunning view. The Rosewood is the newest and most expensive resort at Baha Mar. 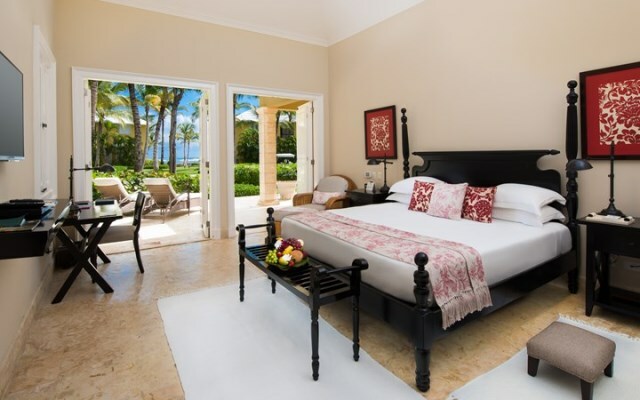 The resort offers 185 ocean view rooms and suites, and five luxurious beachfront villas. Amenities at Rosewood Baha Mar include four signature dining venues including Commonwealth, a farm-to-table restaurant; the Pool Grille — an inspired, al fresco poolside; Bar Riva, a relaxed, nautical-themed bar, and the Library Lounge, which features Bahamian-style afternoon tea and unique tea cocktails. Recreational facilities include Sense, A Rosewood Spa, salon, barber shop, fitness center, two private swimming pools and luxury cabanas. Additionally, guests have direct and private beach access. One of the newest resorts on the northwest coast, all-inclusive Jewel Grande Montego Bay, now with an AAA Four Diamond rating, offers butler service in the 217 suites, concierge service by the pool and beach. 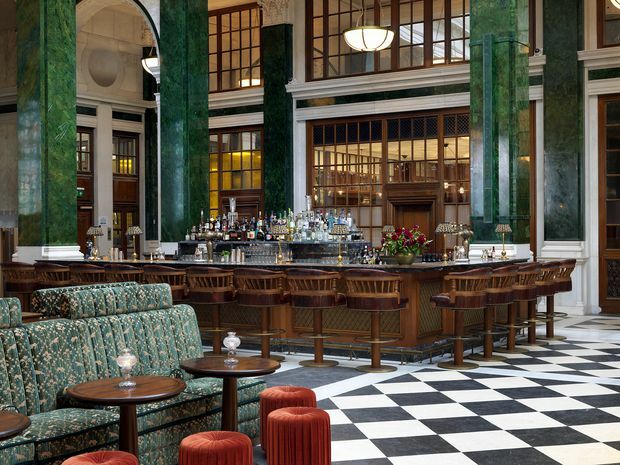 The property features 12 restaurants, bars, Grande Spa and Kids Club. Half Moon resort has 54 private and semi-private pools, the celebrated Fern Tree Spa, championship golf course, 11 tennis courts, equestrian center, and two miles long beach. Opened in 1954, Half Moon is getting a $96 million makeover. 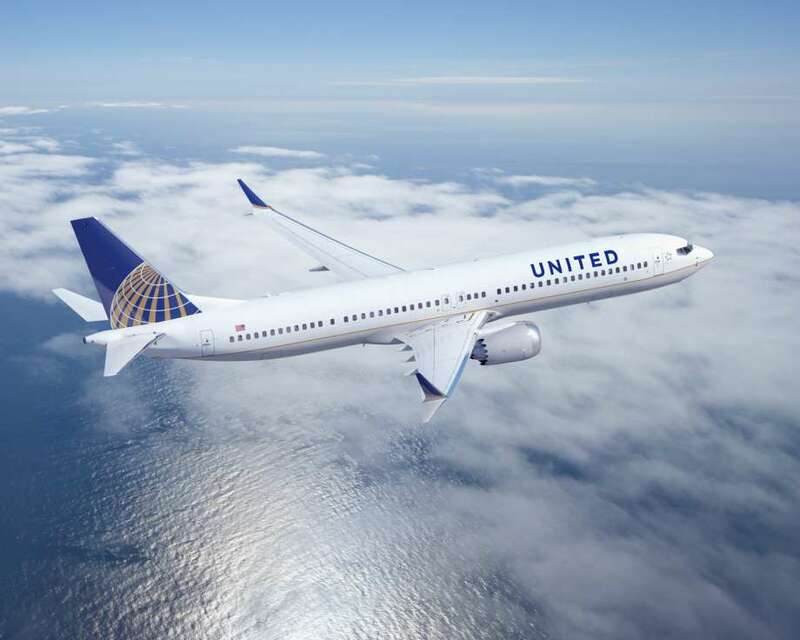 The new look will debut in November 2018, and new additions include an elegant entry and Great House, 57 new suites and rooms, an expanded beachfront with a natural swimming cove, adults-only swimming pool, two restaurants, market café, vegan café located at the Fern Tree Spa, three bars and grill. 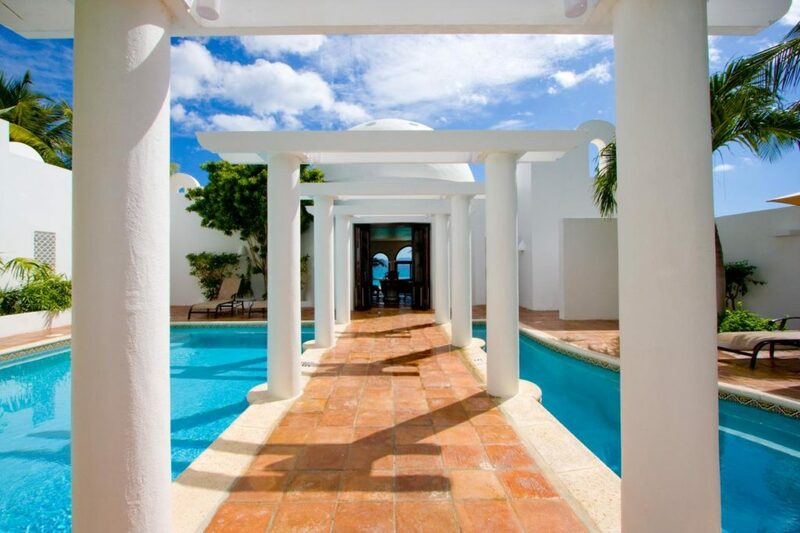 Luxurious Cap Juluca is located in Maundays Village Beach. Belmond Cap Juluca, dream-like escape, spread across the Caribbean’s most beautiful beach features 121 beachfront villas and suites. 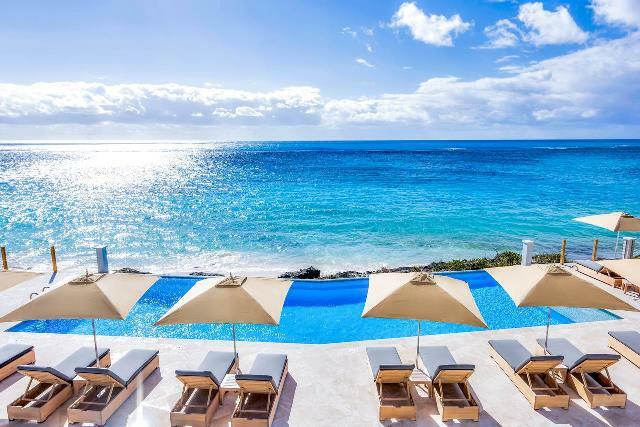 Belmond Cap Juluca is slated to make its official debut Nov. 17, 2018, after massive $121 million renovations. 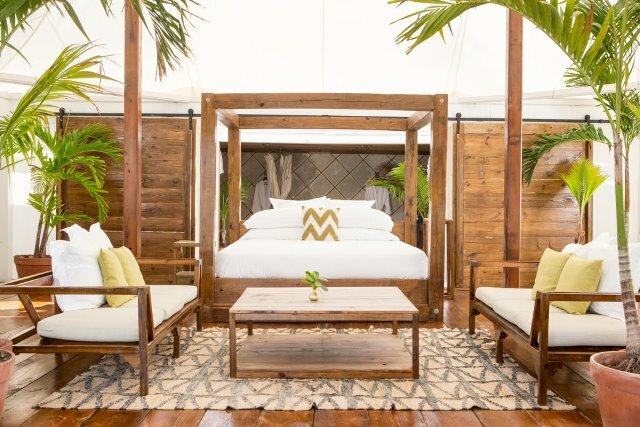 New to the resort is the spa and fitness center, the Cap Shack rustic beach bar and Cap’s Cool Pool and outdoor terrace featuring an infinity pool, shaded courtyard and sun decks. Culinary offerings include the Pimms restaurant, the all-day casual dining CIPs by Cipriano, the new Maundays Lounge and Pool Terrace. Nestled amidst breathtaking landscaped acres overlooking lush Long Bay Beach, Anguilla, Quintessence Hotel offers a tropical oasis in the British West Indies. 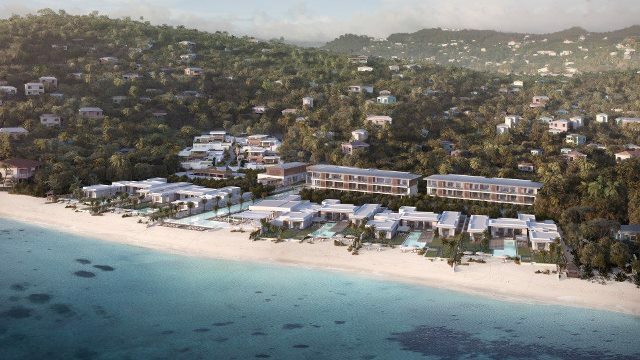 Island’s first “ultra luxury boutique hotel” features nine suites and villas, a restaurant, a spa, bars, an infinity pool and a fitness center and yoga pavilion. 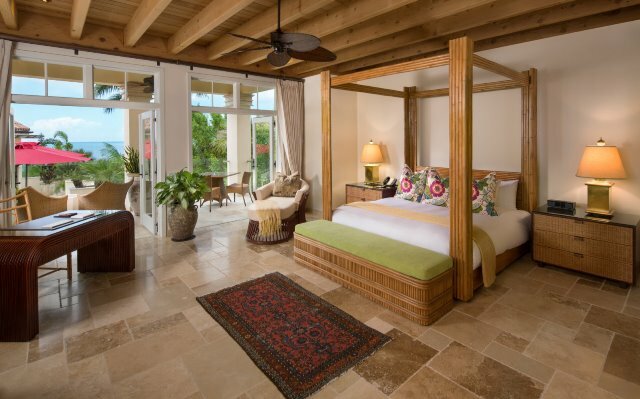 Located between Meads Bay and Turtle Cove Beach on the north-west coast of the island, the boutique hotel has been restored with an eclectic tropical aesthetic after a three-year $80-million renovation. Iconic Malliouhana now offers 44 guest rooms and suites, adult pool and the Restaurant with the new chef, Jeremy Bearman. 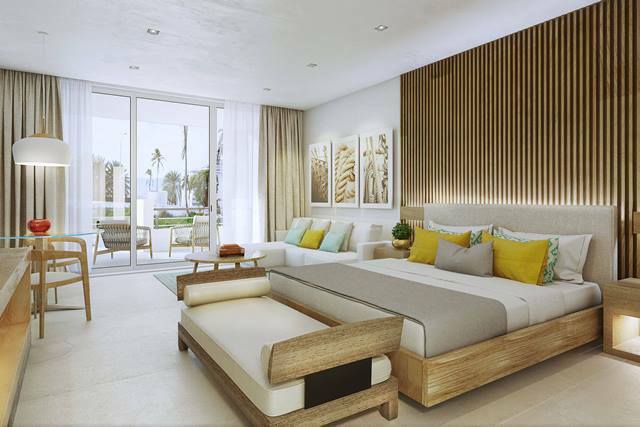 New-build Hodges Bay boasts a collection of 79 rooms, apartments and villas, including a real estate component. Amenities include two pools, adults-only oceanfront infinity pool and family-friendly lounge pool, tapas bar, international restaurant, Driftwood Bar and a full-service spa. 100% all – inclusive 72-room Curtain Bluff features three restaurants and six bars. 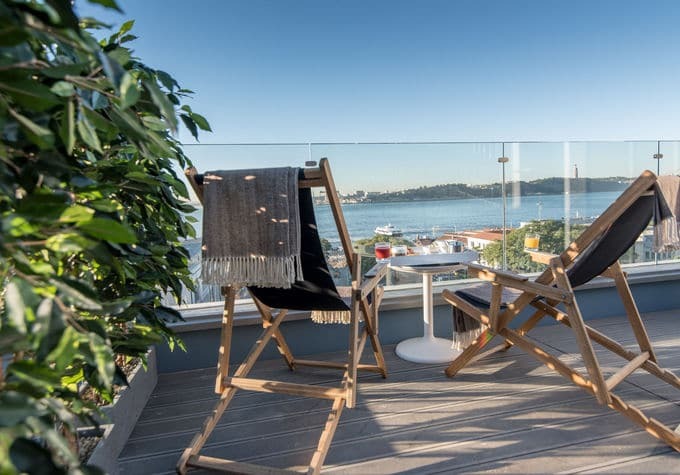 Activities included in the room rate: scuba diving, tennis, waterskiing, snorkelling, squash, water aerobics, yoga, muscle toning, pilates classes, golf, bocce, basketball. The Historic English Harbour is 15.5 km from the resort and the V.C. 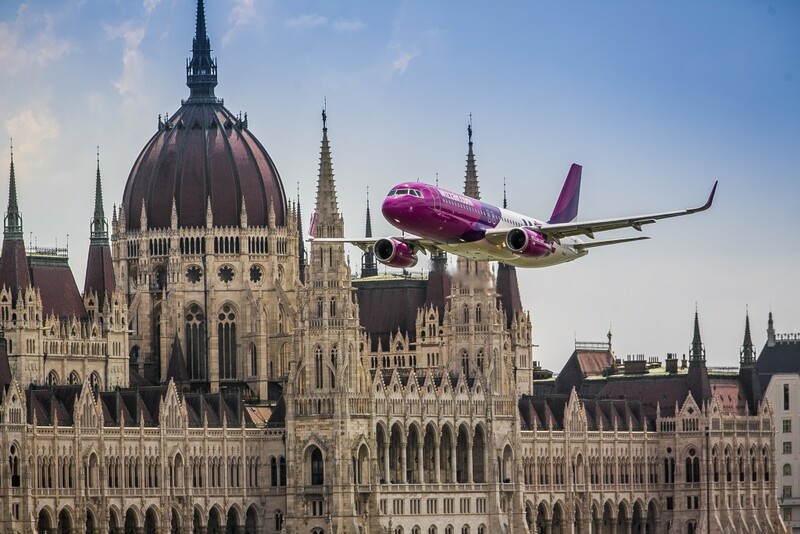 Bird International Airport can be reached in a 20-minute drive. Dorado Beach, a Ritz-Carlton Reserve is now accepting bookings as of October 1 2018. The ultra-luxury resort is offering 114 beachfront guestrooms and suites, three restaurants and Culinary Center, Spa Botánico, Fitness Center and Movement Studio. Dorado Beach, a Ritz-Carlton Reserve offers an array of amenities and facilities including three spectacular 18-hole golf courses, The Beach Club featuring adult and family pools, and the historic Rockefeller Nature Trail – an open-air sanctuary from land to sea. 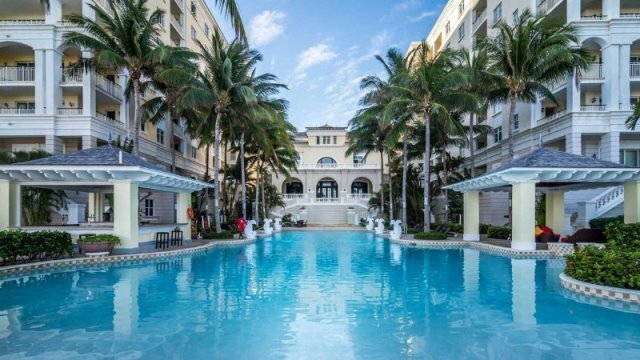 Located in the epicentre of the buzzing Condado district of San Juan, Serafina Beach Hotel offers Vintage-inspired 96 guest rooms which feature floor-to-ceiling windows and boast dramatic views of the Atlantic Ocean or the adjacent Laguna del Condado. 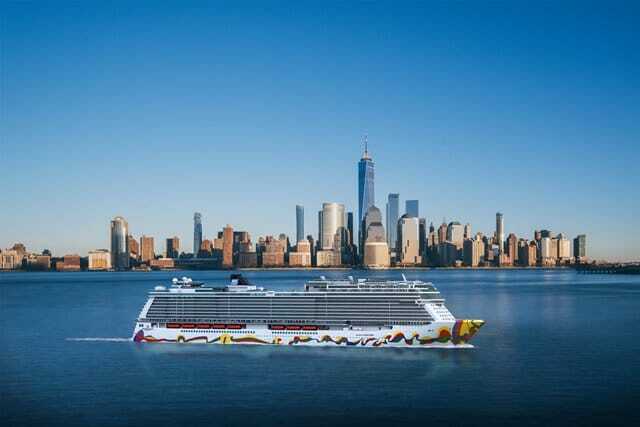 The amenities include three new dining options including signature aMare restaurant, the energetic PiñaCo Bar and By the Pool, infinity poolside lounge, three private indoor-outdoor meeting and event spaces. 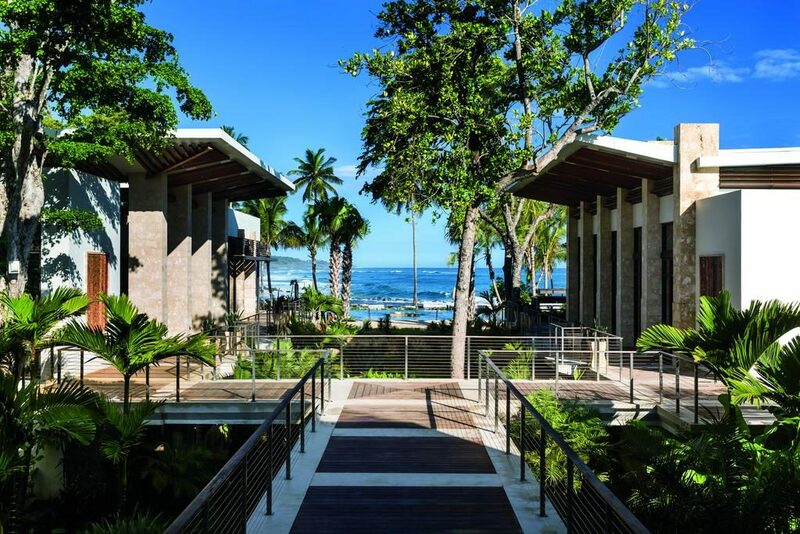 The only AAA 5 Diamond hotel in the Dominican Republic, Tortuga Bay opens after renovations. Tortuga Bay at Puntacana Resort & Club features thirteen secluded villas, a new wine cellar, humidor, updated private gym and new lounge to accommodate early arrivals and departures. Ani Villas, a secluded, 14-suite private resort, surrounded by the sea on three sides. Each villa coalesces around a massive, 6,000-square-foot (557 square meters) open-walled living and dining area. Dining at Ani Villas does not require a trip to a restaurant. A team that includes internationally trained chefs of local origin customizes menus based on guests’ preferences and dietary requirements. The new five-star retreat features 45 oceanfront suites and three villas, two restaurants, Pink Beach Club and Marée, that offers casual al fresco meals and Mediterranean-inspired fine dining respectively, two heated pools, a kids’ club, and a spa with four treatment rooms overlooks the Atlantic. 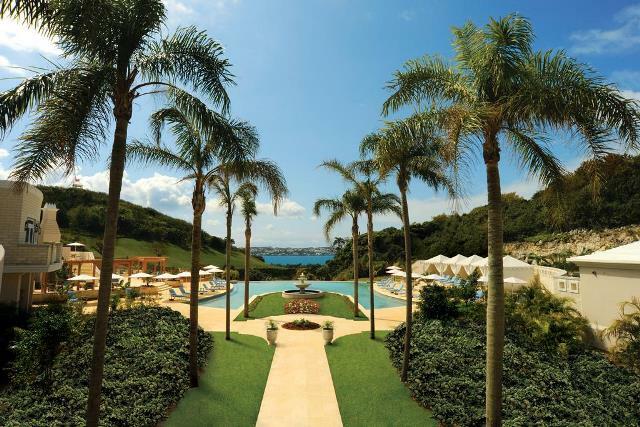 Rosewood Bermuda — formerly known as Rosewood Tucker’s Point — reopened April 1 after a $25-million renovation. 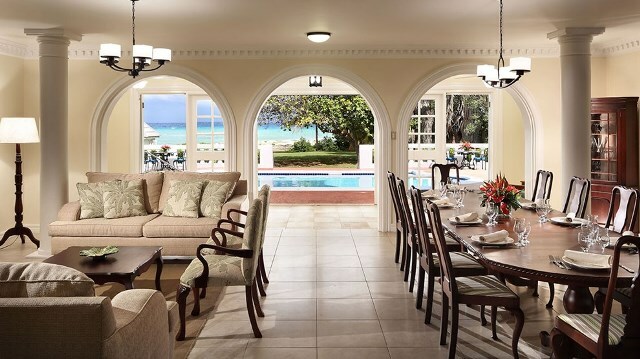 Rosewood Bermuda offers 92 upgraded guestrooms and suites, beach club, golf clubhouse and the spa along with enhanced meeting spaces and dining options with views of Castle Harbour, Harrington Sound and the Atlantic Ocean. The resort located on the island’s famed Grand Anse Beach. 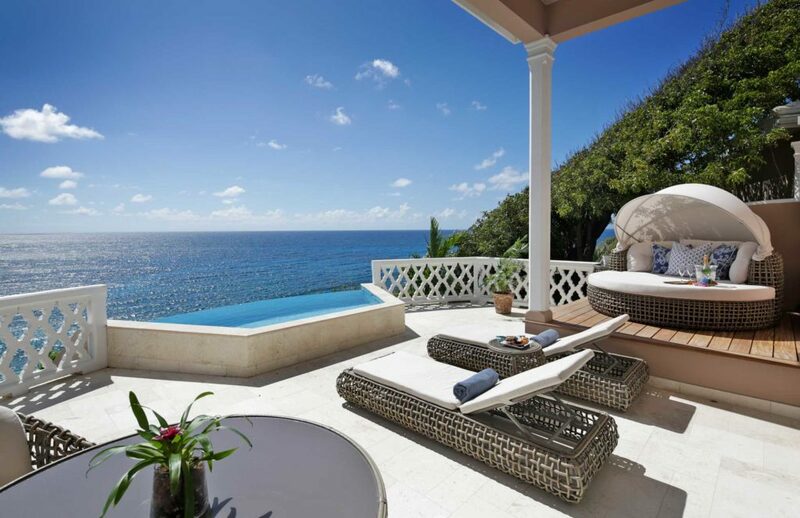 A part of Leading Hotels of the World, Silversands includes 43 suites and nine residential villas, along with the longest infinity pool in the Caribbean. 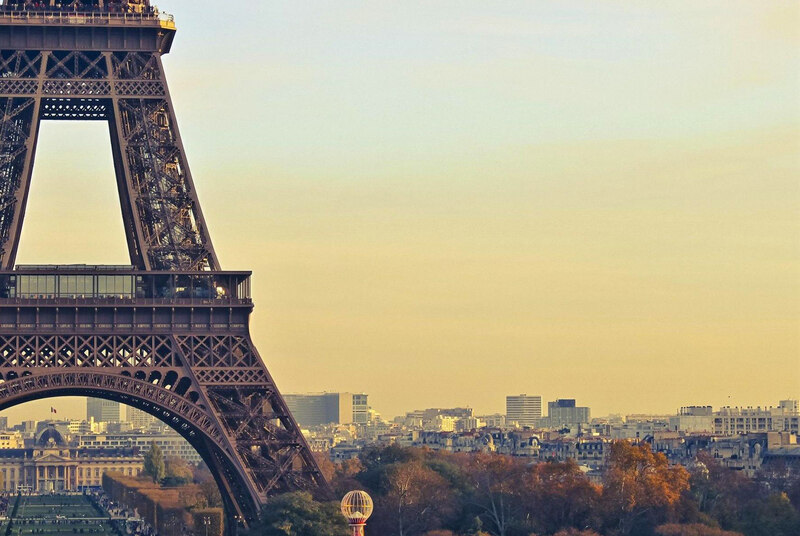 It also features a spa with four treatment rooms and a hammam. 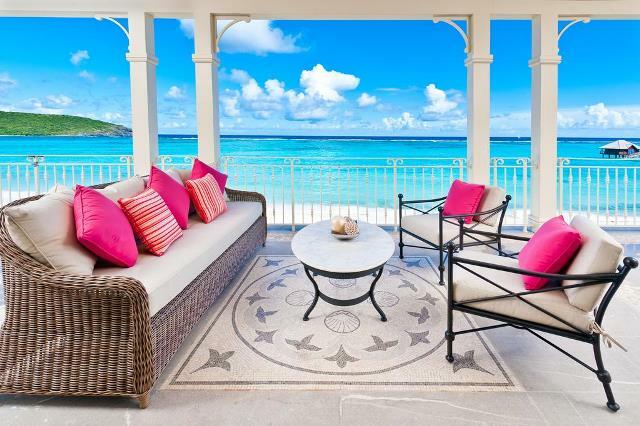 Located in St. Vincent & The Grenadines, Pink Sands Club, Canouan is Mandarin Oriental’s first Caribbean resort. 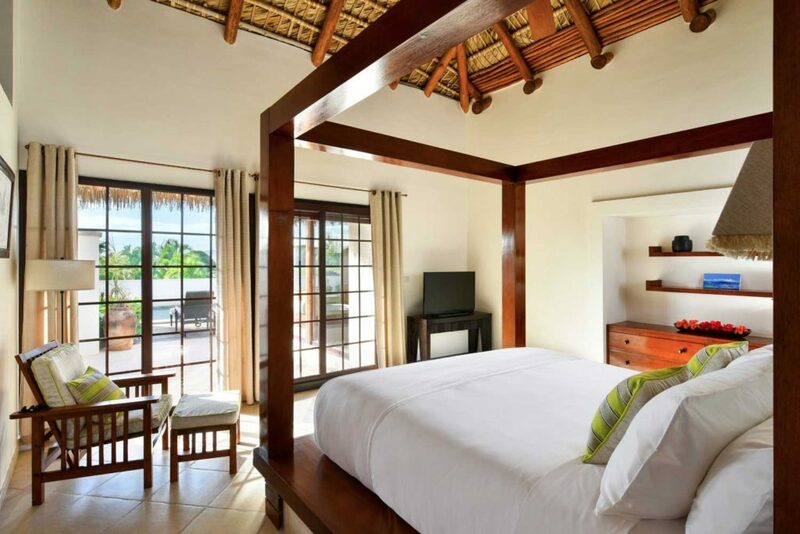 The hotel has 26 suites and seven three- and four-bedroom Patio Villas, a spa, four restaurants and a bar. Island’s immaculate beaches, championship 18-hole, Fazio-designed golf course and luxury super-yacht marina provide guests with a wide range of activities to be enjoyed. 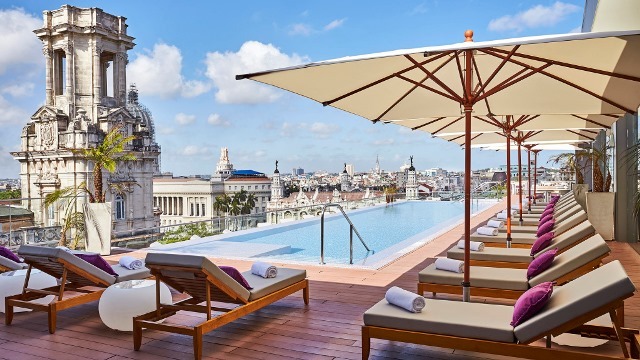 Located in the centre of Havana, five-star luxury Gran Hotel Manzana Kempinski La Habana offers 246 rooms, three bars, three restaurants, a top-floor gym, a rooftop pool, a 10,000-square-foot spa, a tobacco lounge, featuring Cuban rums, freshly rolled cigars, and a cigar sommelier who can suggest the perfect beverage-cigar pairings. 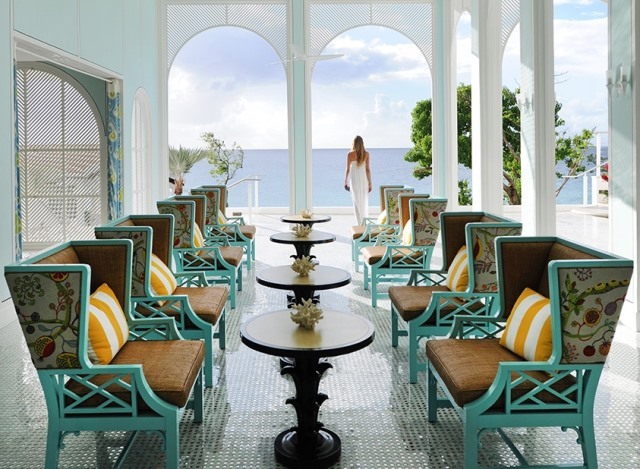 The ultra-luxe Belmond La Samanna in St Martin has announced plans to reopen on Dec. 10 2018. 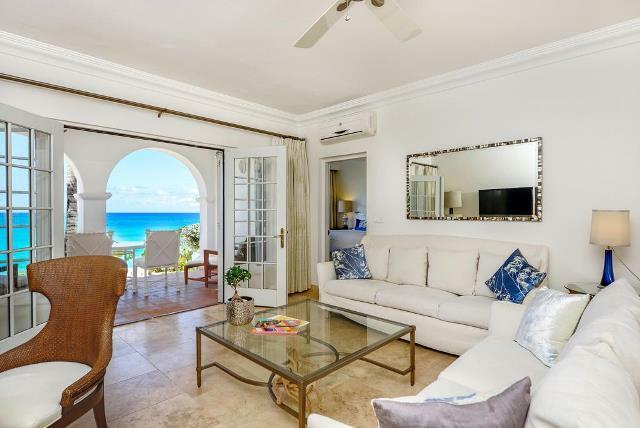 The resort features 83 guest rooms, beachfront French restaurant Trellis, the largest private wine cellar in the Caribbean, La Cave Wine Cellar, a Beach Bar. Baie Longue beach provides the backdrop for a host of water sports and excursions, including water-skiing, kayaking, sailing, paddle boarding, snorkelling and scuba diving off nearby reefs.